In practice of my first webinar I forgot to do some basic things prior to running the event in order to make things run more smoothly. Because of this, I created a checklist of things to do prior to launching the webinar. If you run webinars at home and have pets, keep them happy and quiet for the duration of the webinar by making them as comfortable as possible. Take your dog for a walk, give her dinner, or give her a bone. Turn on some calm television programming in the background in your house that may drown out some other neighborly sounds your dog may bark at. For me, giving Bella a bone usually keeps her quiet for 30 minutes or more. Notification tones are really annoying during a webinar. Turn your phone on silent or off. Also remember to move the phone away from the microphone or anything it may vibrate against if you leave it on vibrate. Don’t rely on the small clock in the interface of the computer screen for timing your webinar. It will likely be covered by the slide presentation or interface. Either have a physical clock with a large readout or find a web app to count the time for your webinar. Websites like online-stopwatch.com have some options and this can be shown on a secondary monitor so you can track your time. It requires a lot of lights to get good lighting for the webcam. I never work with all of these lights on so it’s easy to forget to turn them all on. This one is obvious. But the one time you don’t check it will be the time your mic level fails! Log in and double check your settings are accurate for the type of webinar you plan on running well before the meeting. There’s always seemingly one box that should have been checked in set up previously was not. Practice your script and allow yourself to speak naturally. Adjust to match the spoken flow, but just in case you lose your thought you will have a script to get you back on track. Load your slides early enough to give all the content time to load. If you house your slides in a cloud service platform some slides may take more time to load content. Sometimes slides don’t load at all! On to the next point. Have a backup of your slides in PDF form. If your slides fail to load from the cloud service or Powerpoint crashes you have a backup handy. This will quickly alleviate the slide hiccup rather than stumbling and reloading the slide platform likely just to fail again! Don’t forget to log into any services you intend to utilize in the webinar demonstration. It wastes time to sign into services live in the webinar and if you forget your password it’s embarrassing! Have your resource document handy during the presentation so you can share links live. Don’t go digging around your Google Drive live in the webinar to find it. Everyone can see your various folders and lack of preparation. Last week I presented my first webinar for INTE 5670 Plan and Facilitate Live Events. Overall I think it went well and I would like to share some things that I learned from the experience. Admittedly, I sort of took the idea of the “webinar course” for granted because I often have conferences with clients and co-workers. I typically run these meetings on GoTo Meeting and mostly screen share and run through documents and images or 3D files. However those experiences seemingly helped very little in comparison to running a well designed webinar with ample Absorb-Do-Connect activities. Overall, as a presenter the space feels “cold” to me. Where as in face to face or more informal web conferences there is more dialogue style of engagement that creates opportunity for more informalities that I gravitate towards. Popular webinar types of interaction such as polls, group chat, and whiteboard are silent dialogues. So as a presenter, it feels more like I’m lecturing the whole time and carrying on a conversation with myself. Nevertheless, webinars present opportunities to promote engaged synchronous learning in very powerful ways. Don’t be too confident in your experience. Practice as much as necessary for the presentation. Create your slides as early as possible in order to adapt the presentation based on what feels natural in practice. Create a script, then adapt it where necessary. Be open to letting yourself go off script on the same topic. But don’t allow yourself to go off topic. Time yourself and prepare your timing. Allow room for more or less time based on the participation in the webinar. Discover areas where you can make up ground. Be genuine even in practice. If you practice like you are actually talking to someone else or demonstrating something, you will discover challenges that need to be overcome. Whether with technology or presentation style, adaptation is key. A half hour before the presentation loosen up! Sing, move around, make faces, stretch. Get your vocal chords in order. This might make you more energetic and reduce speaking errors (it works for me at least). Have a back up plan. Such as a .pdf of your slides if the platform chokes. Or an alternative way for participants to interact if they struggle with the platform or media. Make a preflight checklist! If you genuinely practiced running your webinar you may find at least one of the attempts you forgot to do something necessary for the event prior to launching your webinar. Here’s the resource document I shared in the webinar. Another Blog Post About CARP. This Time It’s Personal! Somehow I managed 5 years of design school in the early 2000’s without hearing about this acronym. It’s likely the acronym did not reach the height of popularity until after I graduated. Nevertheless, I entered design school for ILT grad studies in the twenty-teens and picked up where I left off in Joni Dunlap’s “Creative Designs” course. These CARP principles were already burned into my brain but one has always stuck out for me ̶ CONTRAST! During undergraduate design schooling we would often create sketches and designs to critique by posting them on a wall and standing back 15-20 feet to talk about them. Often, a quick glance would reveal glaring errors in application of these principles. The biggest culprit ̶ CONTRAST! Standing at this distance the images would fade into the background if there was not the appropriate usage of contrast. Professor Tony Kawanari would say it again, and again, in a myriad of different ways, “MORE CONTRAST!” Sometimes with a stack up papers rolled up to form a trumpet over his lips. But my favorite was always the exclamation combined with a katana slice with a metal cork-back ruler! Tony is a Japanese American man who lovingly shared his culture with his students in combination with his love for design and humor. We were all privileged to learn from him and I will never forget about contrast as perhaps the most critical of design principles. Without contrast, the rest of the principles are moot because a viewer may not be able to see the design in order to evaluate anything. In regards to the discussion of webinars, for the course I am currently taking at University of Colorado Denver, contrast likely plays a strong role in the success of the presentation. The slides in a webinar, similarly, are like looking at something far away to critique because the view-port presentation window is only a portion of the screen. Additionally, the quality of this presentation is limited to the available bandwidth for the attendees and the video quality of the webinar platform. Case and point ̶ contrast matters! This does not suggest the other principles don’t matter or aren’t as integral to a design presentation. The combination of these elements working together usually produce the best visual results. Ultimately, the purpose is to make it easy for the viewer to understand the message behind the graphics without being confused by lack of quality use of principles. To the point that it looks effortless or subconscious. It’s likely most people take this for granted, but behind every good design there’s one-hundred visual experiments and one-thousand pixel nudges. There’s no perfect equation to apply CARP well. The best way to learn how to do so well is to practice. Eventually, the application becomes instinctual. A new year, and another semester at University of Colorado Denver. I can’t believe it’s been almost exactly two years since my last blog post! I started blogging more heavily when I enrolled in UCD back in 2015 in the master’s program for Instructional Design, Information and Learning Technologies. There’s been moments where I’ve seemingly been wrapped up in social networks in conjunction with the assignments. However during the last year to two years I’ve focused on instructional production outside of blogging and social learning networks. During that time I’ve definitely learned the value of being able to step away from media. The greatest take-away: I have the right to enjoy life and choose to what I do with my time. I much prefer a good hike or social gathering in physical space over virtual. Media doesn’t own me. I don’t have to respond to tweets, blog posts, Facebook or other social networks, even emails if I chose not to. For a person that spends 40-60 hours in front of a computer designing - this has liberated me from the machines and improved my physical and mental health. However I’m not totally free. As part of the coursework and philosophy for the program of which I am enrolled I am required to be a sort of digital citizen and leave a “digital footprint” or at least breadcrumbs for others to follow. In other words, to be seen as a thought leader or instructor of anyone who chooses to pay attention. And with that, we begin blogging, tweeting, and engaging in social learning networks once again in 2019. Time for a new and refreshed approach! 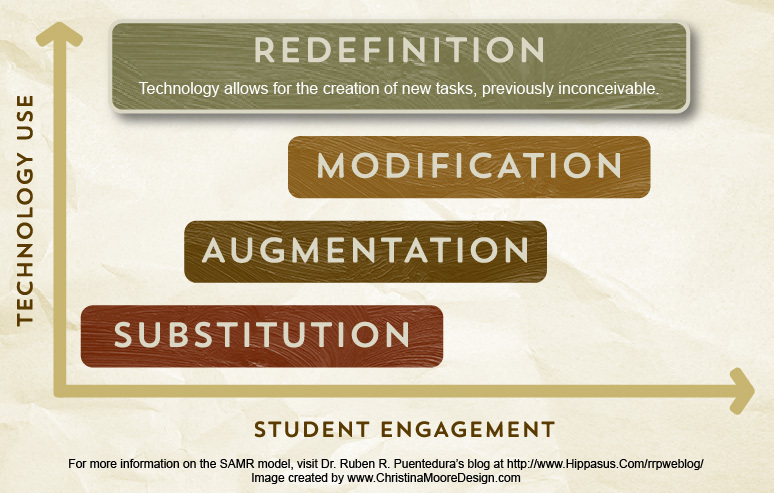 SAMR: REDEFINITION. Image courtesy of Christina Moore 2017. From the perspective of a CAD and Interior Design instructor, at a career and technical college, the use of VR for architecture and design is exciting to consider in terms of redefining methods of teaching and learning. 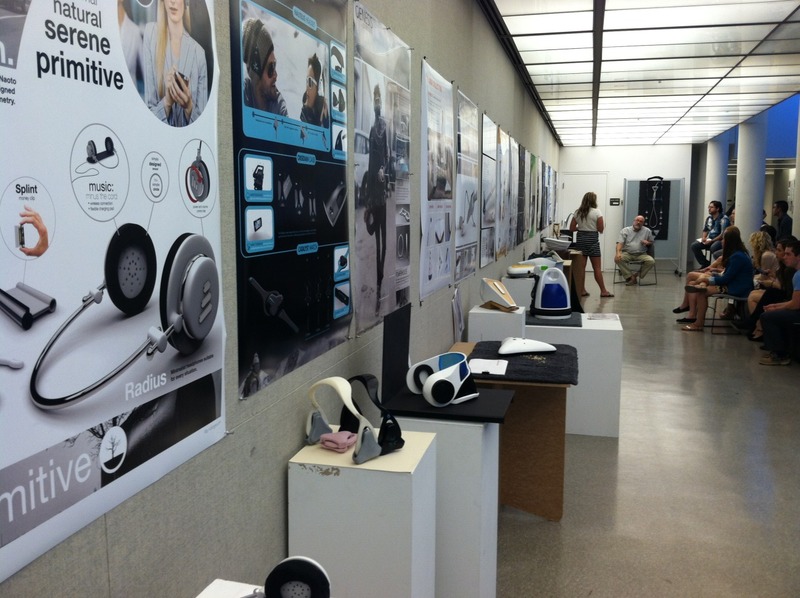 Consider students who are studying the histories of design, art, and architecture. The typical way we experience these courses and instruction is to explain history through text and pictorial representation. Imagine being able to virtually walk through a setting relevant to the study of history. This is particularly meaningful for design and art instruction where many times the experience and feeling of such places can not be effectively demonstrated. For example, Mies Van Der Rohe’s Core House is available online as a virtual study. When one applies VR goggles to this it’s possible to engage in the feeling and the experience of the physical space. This redefines how we learn about history by immersion in space rather than mere dictation of what it is like. In effect, students can determine what they discovered through the VR experiences and compare that to historical contexts to make conclusions. The ultimate goal of which, would be to apply their historical experience to actual practice in the design of their own spaces. Perhaps even more exciting than virtually walking through history, is the ability to shape unique spaces with the use of VR. It’s already possible to model a building in VR, assign materials, and design the furniture and flow of the space. More importantly, the result of VR designs can be experienced in VR by the end users and the designers together, creating greater empathy and connections between them. Most designers begin to learn how to design by 2D representation on paper and in 3D software. At the same time, designers learn about the dimensions of things, as well as codes, and anthropometrics. Things like standard counter heights, doorways, chairs, tables, ADA requirements, etc. Mostly these things are a given, but when all of the elements are put together, the space transforms into it’s own functional or dysfunctional place. In 2D and 3D softwares, one can only guess through experience and the “mind’s eye” what it would be like to experience the space. However, with VR one can simply assess the space while they are creating it. Rather than critiquing the space post design and planning. Dysfunctional designs and proportions become readily apparent immediately in the VR process. Everything is formatively assessed on the fly, versus a giant summative assessment in the form of a design presentation including plans, diagrams, renderings, etc. The whole design process is flipped, redefining it. Rather than creating plans and sketches first, designers create the space in VR and produce plans last when the space is mutually satisfactory for everyone involved. Like many new technologies, it may take a while to take hold and become a new standard way of doing and being. For educators this is painfully true when it comes to budget allocation and accessibility for students. Because VR technology combines both hardware and software for use, the cost to implement and upkeep is greater than simply updating the software every year. Other concerns from accessibility standpoint would be students who suffer from motion sickness because of the visual interface, or physical disabilities, or fatigue from prolonged operation of VR devices. The final determining factor of this technology becoming more commonplace may be the willingness of the industry and employers to adopt it. Because of these things, it may be a challenge for VR to take off. However, I remain optimistic because of the ability to redefine the design process and experience. The new assignment in INTE 6710 "Creative Designs," is Pecha Kucha. I never heard of it until I took this course. It's essentially 20 slides and 20 seconds of speaking per slide. No fancy animations, moving text, or retro transitions. I haven't quite figured out how I'm going to pull this off without being boring in the process, thus, boring the audience. However I know images and inspiration is a good place to start. It would be nice if I had the time to create 20 beautiful slides, be that photography or graphic design, it's not realistic. In the typical work place there would be creative design and writing departments who could pour hours into this sort of content. Fortunately at this time in digital history there are massive libraries of photos and graphics that are available for use given the correct attribution and license such as creative commons. 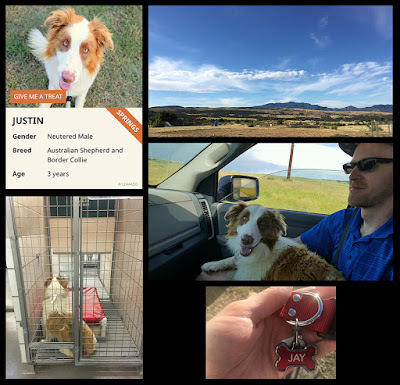 I don't often look for content like this and I do prefer to make my own images but thanks to some resources I've found on Canva I've found some promising leads and inspiration. A photo exercise in telling a story with only 5 photos. What's the story?